Enforcing entire MACRA implementation is necessary to advance value-based care. Excluding providers from MIPS will only lead to lower payment adjustments for the healthcare practices and physicians providing quality based care to the patient, thereby defeating the purpose of value-based care. The aforementioned is a recent statement made by the AMGA with the intent to urge CMS and Congress to increase MIPS participation for benefiting the healthcare organization providing supreme quality treatment. As a physician or a staff working in the healthcare finance department, you would understand the importance of adhering to the MACRA MIPS rules that transform with the healthcare industry requirement and scenarios. Signed into US law in 2015, The Medicare Access and CHIP Reauthorization Act of 2015 (MACRA) laid the foundation for one of the significant aspects of promoting value-based care program, through the Quality Payment Program. Shifting the Medicare focus from volume to value, MACRA encourages participation in the alternate payment method. Under MACRA , are created two payment modes: Advanced Alternative Payment Method which includes bundled payment (to know more about fundamental of bundled payment in healthcare, click here) and Merit-based Incentive Payment System, which determines the healthcare worthy of payment on the basis of four category i.e quality, cost, interoperability and improvement activity. MIPS is the driving force behind changing the healthcare industry from fee for service to value-based care. Why does healthcare organization care about it? Aside from the non-adhering penalty that the practice is liable to, MIPS comes with a reputational impact. MACRA enforces CMS to annually publish the list of clinicians MIPS score along with their performance category score. Any change in the provider’s performance in the value-based care program like MIPS impacts the reputation along with the revenue collection of the practice. A good reputation can give the clinic a competitive edge over others in the healthcare market while a bad one could take years to reverse. 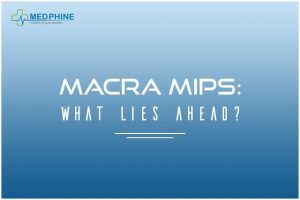 What lies ahead for providers and payers through MACRA MIPS 2019? The list of MIPS eligible clinicians has been expanded in 2019. These newly added clinicians types will be reporting as a group; hence the data from all members of the group in all four MIPS performance categories will be used to determine the final MIPS score. The MIPS performance threshold and exceptional performance threshold has increased from 15 and 70 points to 30 and 75 points respectively, allowing eligible physicians to better adjust to the value-based reimbursement programme. To escalate the probability of clinicians success in the risky, value-based reimbursement programme, CMS has implemented advanced alternative payment method along with updating the quality payment program policies. Unlike last year when CMS had two exclusion criteria for the eligible clinicians and practices, this year CMS has included new third exclusion criteria, based on service volumes, allowing a subset of clinicians the opportunity to become MIPS eligible. Value-based care is here to stay, and healthcare organizations across the nation will have to adopt it, to provide qualitative treatment to the patient and streamline their revenue cycle management. But keeping a tab on the new transformation being introduced to this concept, considering its nascency can be strenuous for the medical staff who are occupied providing care to the those in need of medical help. This is why outsourcing the medical billing and coding to a proficient agency like Medphine is crucial to maintain not just quality treatment but also ensure your healthcare organization has a smooth revenue flow. We provide comprehensive revenue cycle management solutions ensuring minimum claims denial and maximum revenue generation. Our team of certified billers and coders will make sure that your practice’s financial strategies are in alignment with the latest rules and regulation enforced by the national authority. You can try our 30-day risk-free no long term contract to test our services and watch as your practice’s revenue escalates.